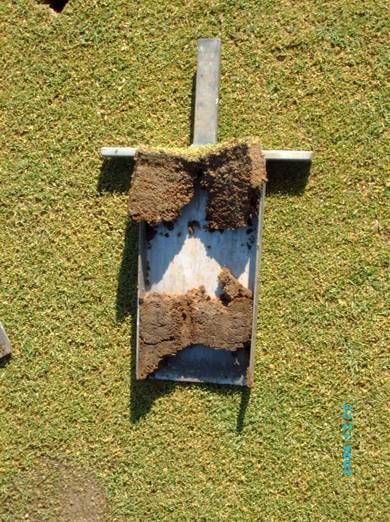 Thatch and compaction are very closely linked. When the soil becomes overly compacted due to foot and maintenance traffic, oxygen levels within the green reduce significantly. The aerobic (oxygen loving) micro-organisms (soil microbes) within the soil that break down thatch and release nitrogen that can be used by the grass plants to flourish need oxygen to thrive. The microbe population reduces drastically with reduced oxygen supplies. 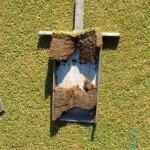 Physical reduction of thatch is the first step. This can be started during the bowling season by pencil tining to allow more air into the soil and regular verti-cutting to keep lateral growth under control. You also need to get on to a proper nutritional program which doesn’t use heavy applications of granular fertilisers. Spoon fed bio liquid programs are best as these provide carbohydrate which boosts grass health and increases microbial activity. Then in autumn you should get serious with the thatch using various methods such as hollow tining and deep, heavy duty scarification (slotting such as Graden). Performance Bowling Greens a practical guide has a full step by step system for improving your bowling green including getting to grips with thatch.